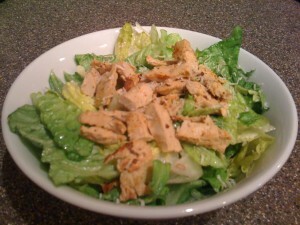 This is the yummy Egg-less Caesar Salad w/ Soy Chicken. This is a keeper! 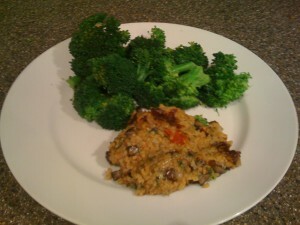 This Portobello Mushroom Burger may not look pretty, but it was very tasty. This entry was posted on Friday, February 6th, 2009 at 12:49 am	and is filed under Food, Grumbling, Other Crap. You can follow any responses to this entry through the RSS 2.0 feed. Both comments and pings are currently closed.